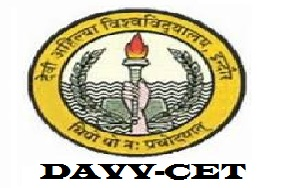 DAVV CET 2019 – Devi Ahilya Vishwavidyalaya, Indore will conduct the Common Entrance Test 2019. The Computer Based Test will be organized to grant admissions in various UG and PG programmes. 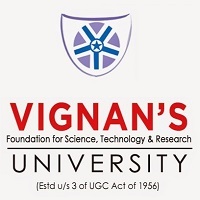 All the general rules for admission such as Application, Dates, Exam pattern, Eligibility criteria, How to prepare, Admit card issue procedure, Result and counseling etc. have been discussed here for the convenience of our readers. Candidates with academic excellence will soon be invited to apply for their desired programme in DAVV. The university is expected to release an advertisement soon with all the details. In the meantime, you can check this article for DAVV CET 2019 details. For further details visit the official website at www.dauniv.ac.in. The Entrance test will be conducted in online mode in four groups of A, B, C and D. Group B & C is valid for courses to apply for after 12th and Group A & D will be valid to apply for courses after Graduation. The table will allow the readers to get an idea about the probable d formats for the DAVV CET to commence. Candidates willing to apply for DAVV CET 2019 will have to apply for their choice of the programme in online mode only. Candidates have to select their group out of A,B,C &D.
Registration- the first step would be to register on the admission portal. Also, you must keep ready your scanned Photograph and Signature, Eligibility documents, Caste/ Income/ Domicile/ DAVV employee certificate for reserved category for filling the form. Mark the columns such as- category, gender, email id, name, date of birth, aadhar card, etc. carefully. Changes in online form may not be accepted later on. Participants may have to pay around Rs. 1550/- as application charges. This expense would be payable using Credit/ Debit card/ Net banking/ SBI Challan mode. Candidates may check the table below to know the degree and minimum marks requirements that the candidates will have to satisfy before they proceed to apply. Age criteria- Upper age limit for UG courses can be 23 yrs. And for PG courses, 28 yrs. As of 01st July 2019. For this group, there will be a common test paper of Objective type questions. There will be 5 options for 12 question. M.Sc. [Genetic Engineering/ Bioinformatics/Biotechnology (industry-sponsored seats)] 25 ques. In Chemistry and 50 questions in Biological Sciences/ Physical Sciences. The subjects that will be covered while preparing the question papers have been mentioned in the exam pattern section. The candidates are advised to read the standard textbooks to prepare these subjects. For courses after 12th, study NCERT PCM/ PCB textbooks and for courses after Graduation, clear your concepts from the texts prescribed at your degree level. Hall Ticket of DAVV CET 2019 will be issued Devi Ahilya Vishwavidyalaya, Indore in online mode at www.dauniv.ac.in which is its official website. Candidates shall be under strict supervision of the administrative control of the Centre Superintendent during the test. Candidates should NOT bring with them the following items- Mobile Phone, Pager, Calculator, or any kind of digital gadget. Examiners will be required to report at least 60 minutes before the start of the examination. Admit card will have essential information printed on it for the examiners such as- Photo, Signature, Name, Roll Number, personal details, VENUE, the address of the venue etc. Without, admit card the try in the examination hall will not be permitted. Along with the DAVV CET hall ticket, you MUST bring a valid Identity proof. In case, any candidate feels the answers are not correct, they may challenge the keys by way of submitting an application. The objections shall have to be sent to the Chairperson CET 2019 enclosed with a DD of Rs. 500/- per question. The DD would be drawn in favour of Registrar of DAVV, Indore. Money will be refunded if objection is correct. The list of all candidates who will be appearing in the 2019 DAVV CET Entrance Test, will be put up Category wise/ group-wise, indicating their marks on the University website (www.dauniv.ac.in). After that, participants according to their order of marks in different categories will be called for counseling. The admission into a particular program shall be decided by the Admission Committee at the time of counseling. The entrance test to be held in Computer-Based mode will be held at various test cities allocated by the university. The venue of a test will be indicated in the hall ticket. Also, the university reserves the right to allocate any centre to the candidate despite preference order mentioned by the candidate. For any other queries about DAVV CET 2019, you can leave your queries below in the comment box.